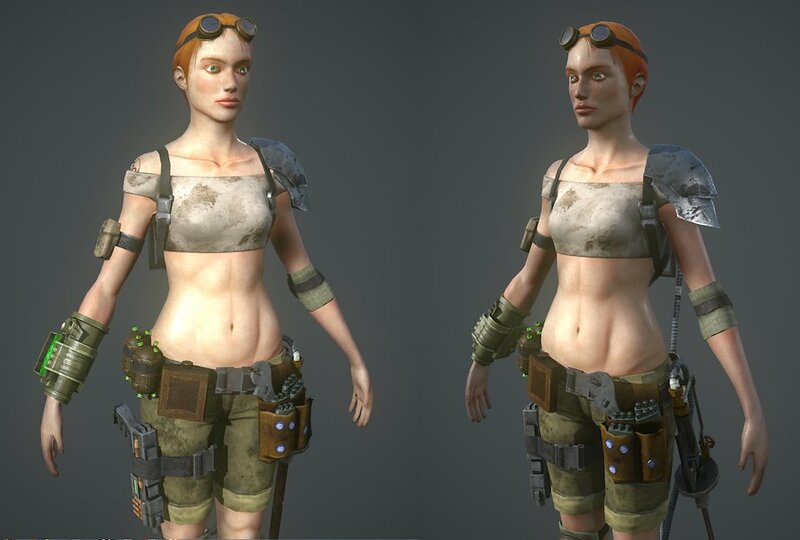 This is my rendition of a mechanic girl in the Fallout universe. 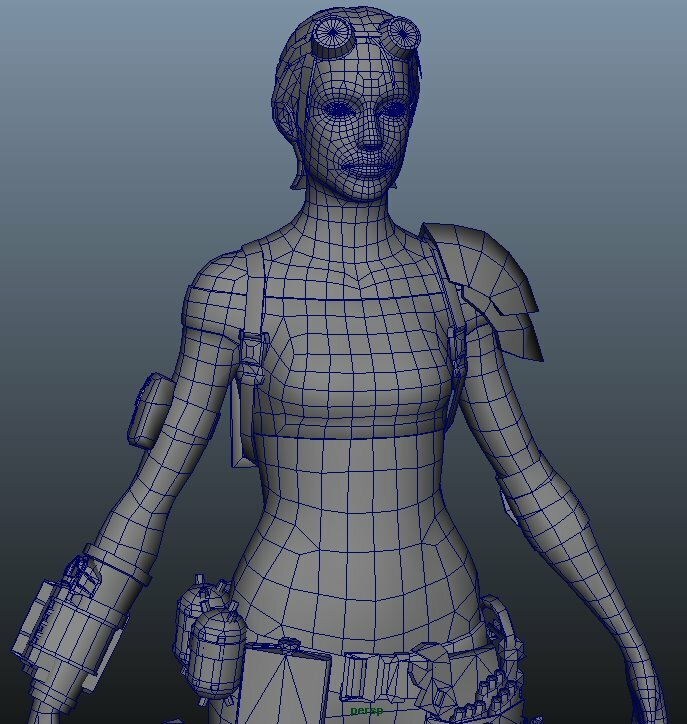 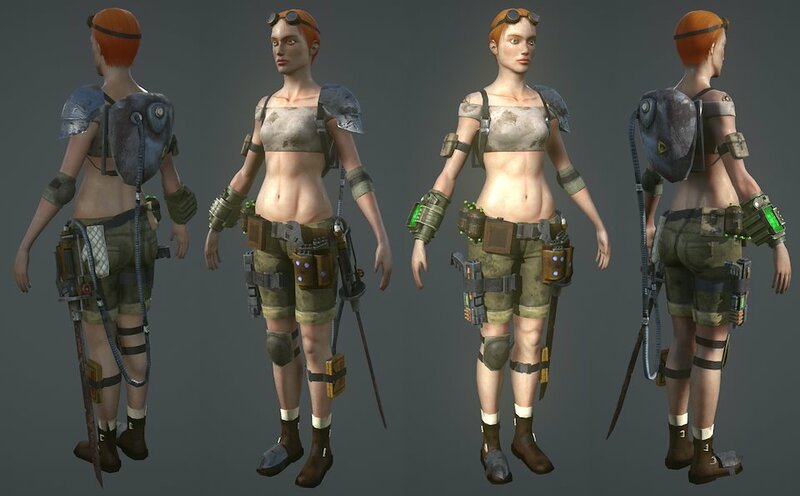 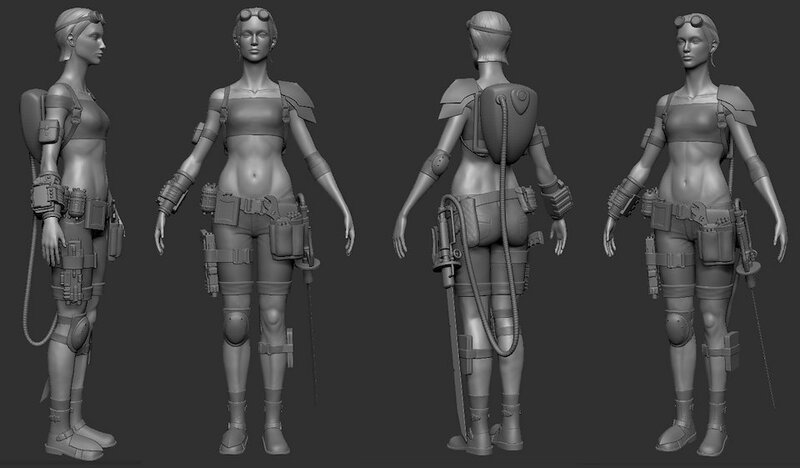 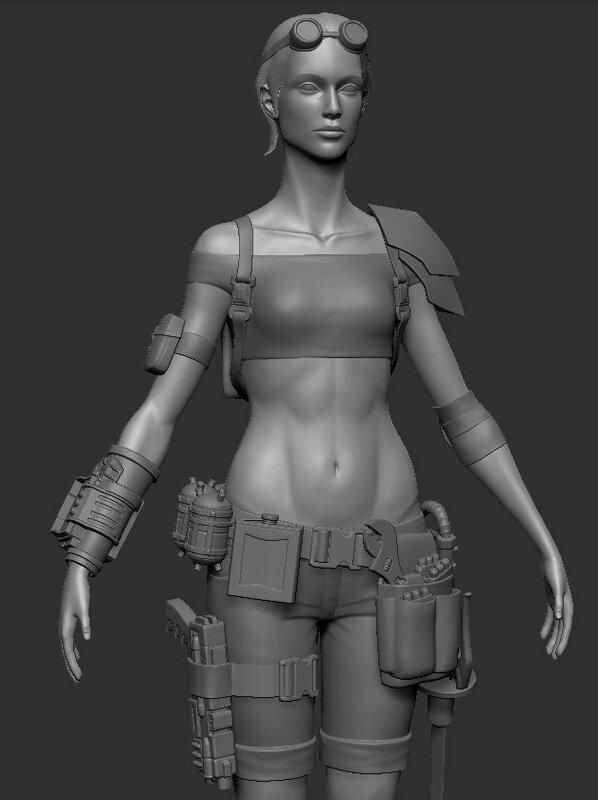 I was responsible for the overall concept/design (a lot of the individual equipment is from the Fallout universe), sculpting, modeling, uvs and texturing. 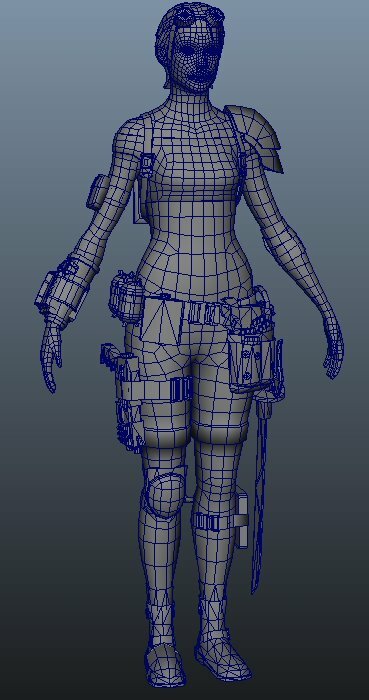 The model is 14,139 tris and has two sets of 2048x2048 textures (albedo/normal/gloss/ao fo body, albedo/normal/spec/gloss for gear). 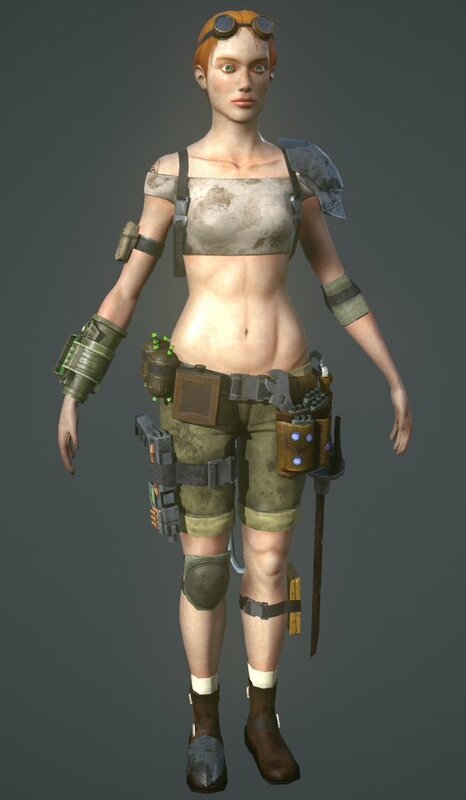 The software used was Maya, Zbrush, Photoshop, Xnormal and Marmoset Toolbag.